This is for those of us who are constantly looking at saving money but still enjoy a good quality lipstick. When your expensive lipstick flattens out and you are no longer able to use it and are constantly pushing a lip brush into the cylinder - stop, it will damage your brush. Put your used lippy in the fridge so it is firm. Find a container, I use a small screw top container (one used previously for cosmetics that has been washed). Using either a thin, fine letter opener or long metal nail file insert the letter opener down the side and in a circular motion move it around the edge and then underneath. You will find your left over lippy comes out in a little blob that you can drop into your container. I then use the brush over a couple of uses to get the last remaining traces from the lipstick canister. In my small container I may have up to three different shades and colours that I use, depending on needs and I often mix a couple together. 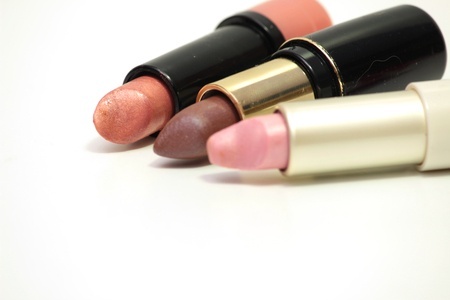 You will be surprised at how much longer your lipstick lasts and the saving over a year.